Conference play has proven to be very competitive so far. With 21 of 90 BIG EAST contests in the books, 12 have been decided by six points or fewer. No games are scheduled for Monday, but FS1 will carry a Tuesday doubleheader. Seton Hall and Providence play at the Dunkin’ Donuts Center at 6:30 p.m. ET. The Pirates are 12-5 overall and 3-2 in the league after losing 70-66 at Marquette on Saturday. Pirate guard Myles Powell is second in the BIG EAST in scoring, averaging 22.6 points. The Friars, 10-6 overall and 0-3 in the league, came close to claiming their first win Saturday, but lost 96-90 in double overtime at Georgetown. The Friars are led by Alpha Diallo who ranks eighth in scoring (17.4), first in rebounding (8.8) and third in steals (1.8). At 8:30 p.m., Marquette visits Georgetown. The Golden Eagles moved into second place in the league standings at 3-2 after Saturday’s win against Seton Hall. The Hoyas improved to 2-2 after their dramatic win over Providence. MU’s Markus Howard, the BIG EAST Player of the Week, will go against GU’s James Akinjo, the BIG EAST Freshman of the Week. The Golden Eagles have taken four of the last five meetings in the series. Second-half comebacks were the theme on Sunday with Villanova and Xavier recording wins. Villanova overcame a nine-point deficit in the second half and won 90-78 at Creighton. Wildcat guard Phil Booth scored 19 of his game-high 28 points after the break. He also had seven assists while committing only one turnover. Eric Paschall added 21 points and seven rebounds. The Wildcats used a pair of 13-0 runs in the second half to nail down the win. Creighton’s Ty-Shon Alexander continued his strong season with 22 points. Villanova stayed unbeaten in BIG EAST play with a 4-0 record. Creighton fell to 1-3. Xavier rallied to come back from a 10-point deficit in the final four minutes and edged visiting Butler 70-69. Paul Scruggs, who moved over to point guard in the place of injured Quentin Goodin, had 23 points, eight rebounds and six assists. He made 5-of-8 from 3-point range. Naji Marshall added 14 points. Xavier improved to 3-2 in the league standings. Butler suffered its second straight one-point loss and dropped to 1-3 in BIG EAST play. Kamar Baldwin led the Bulldogs with 18 points and seven assists. BROOKLYN – The Boston Celtics followed four consecutive home wins with back-to-back losses on the road, and star point guard Kyrie Irving is not happy. The Celtics will try to respond to Irving’s latest attempt at motivating the team and salvage the finale of the three-game trip when they visit the Brooklyn Nets. ABOUT THE CELTICS (25-17): Boston’s inconsistency was on the minds of the players and the coaches following Saturday’s loss, which featured the team squandering a double-digit, second-half lead. “It’s definitely a little frustrating,” swingman Gordan Hayward told reporters. “Puzzling is a good word. … We have stretches where we’re really, really good, and really tough. And we have other stretches where we’re not at all.” Irving led the team with 25 points in Saturday’s loss but went 0-of-5 from beyond the arc as part of a team effort that saw the Celtics connect on 8-of-32 from 3-point range. 1. Celtics PG Terry Rozier is 1-of-13 from the field over the last two games. 2. Nets SF Jared Dudley (hamstring) sat out Friday and is day-to-day. 3. Boston took the last 10 in the series, including five in a row at Brooklyn. BOSTON – The Boston Bruins are heating up at just the right time, as the club has won six of seven to reside within two points of second place in the Atlantic Division. The Bruins bid to continue their sizzling stretch on Monday when they host the Montreal Canadiens at TD Garden in the finale of the four-game season series between the Original Six rivals. David Pastrnak, who is set to play in his 300th career NHL contest on Monday, scored the eventual game-winning tally in Saturday’s 3-2 triumph at Toronto to boost his team-leading total in goals (26) and points (53). The 22-year-old Czech had a pair of assists in Boston’s 4-0 romp at the Bell Centre on Dec. 17 as the road team improved to 3-0-0 in the season series. Former Hart and Vezina Trophy recipient Carey Price was on the losing end of that contest but recorded his second shutout in five outings after turning aside all 28 shots he faced in Saturday’s 3-0 victory versus Colorado. The 31-year-old owns a sterling 25-13-5 mark with two shutouts in his career versus Boston, however fellow netminder Jaroslav Halak has had his number by winning all five head-to-head encounters. ABOUT THE CANADIENS (24-17-5): Brendan Gallagher answered an eight-game goal drought by scoring in back-to-back contests to raise his team-leading total to 17 before being held in check against the Avalanche. The 26-year-old, who joined Phillip Danault on top line with Jonathan Drouin on Saturday, scored in Montreal’s 3-0 road victory over Boston on Oct. 27 to boost his point total to 20 (seven goals, 13 assists) in 25 career matchups before failing to dent the scoresheet in the last two battles. Max Domi, who has a club-best totals in assists (25) and points (39), also scored in the Canadiens’ win over the Bruins in October. ABOUT THE BRUINS (26-15-4): David Krejci has scored in back-to-back games to boost his point total to five (two goals, three assists) in six contests this month. The recent strong surge comes on the heels of the 32-year-old answering an eight-game point streak – during which he scored in Boston’s 4-0 win over Montreal on Dec. 17 – with four straight games of failing to notch a point. Brad Marchand scored in that contest versus the Canadiens to ignite a stretch of 14 points (six goals, eight assists) in nine games before being held off the scoresheet in each of his last two outings. 1. Montreal’s league-worst power play is 1-for-20 in the past seven games. 2. Ten of LW Jake DeBrusk’s 14 goals have been scored in Boston wins this season. 3. Canadiens LW Tomas Tatar has been held off the scoresheet in five of his last six games on the heels of collecting seven points (two goals, five assists) in his previous four. WINSTON-SALEM – Mike “Doc” Emrick, Bob Ley, Peter King, and Tony Kornheiser were voted into the National Sports Media Association Hall of Fame and will be inducted in June, NSMA executive director Dave Goren announced. 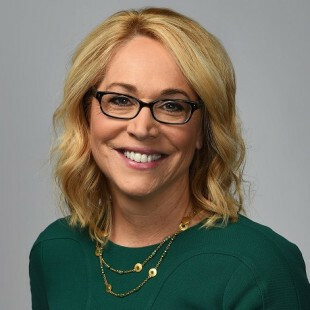 Goren also said that NSMA members voted Doris Burke as the 2018 National Sportscaster of the Year, Adrian Wojnarowski as the 2018 National Sportswriter of the Year; and members in each state elected 109 state Sportscasters and Sportswriters of the Year from 49 states, plus the District of Columbia. They will be honored during the 60th annual NSMA Awards Weekend, June 22-24, 2019 in Winston-Salem, N.C.
Boston Globe columnist Dan Shaughnessy was honored for the 13th time as Massachusetts sportswriter of the year and Celtics’ play-by-play announcer Mike Gorman was recognized for the second time as Massachusetts’ sportscaster of the year. Ley is synonymous with ESPN, beginning as a SportsCenter anchor on the network’s third day of operation. A longtime fixture on ESPN SportsCenter, Ley has spent the better part of the last 28 years as the host of ESPN’s award-winning Outside the Lines program, which examines issues of the day in the sports world that go beyond the playing field and arena. Kornheiser spent 35 years as a sportswriter at the Washington Post, becoming a sports columnist for one of the nation’s premier sports sections in 1984. He branched out into radio, with The Tony Kornhesier Show in 1992. The show is now available as a podcast. And since 1992, Kornheiser and former Washington Post co-workerMichael Wilbon have co-hosted ESPN’s popular Pardon the Interruption. No stranger to firsts, Burke becomes the first woman to win one of the NSMA’s National Awards. The former Providence College basketball player began her broadcasting career calling games for her alma mater in 1990. A succession of steps up the ladder included turns as a college basketball analyst for the Big East and Atlantic 10, before she landed at ESPN. Since 1991, Burke has served as an analyst and sideline reporter covering college basketball, the WNBA and NBA. She became a full-time ESPN NBA game analyst before the 2017-2018 season and serves as the lead NBA sideline reporter for the NBA Playoffs on ESPN and NBA Finals on ABC. The winner of several awards, Burke was named the 2018 co-winner of the Curt Gowdy Award from the Basketball Hall of Fame, for her outstanding coverage of basketball. Wojnarowski has now won back-to-back NSMA National Sportswriter of the Year Awards, becoming the tenth person to do so. Known for his NBA scoops, or “Woj Bombs,” ESPN’s Senior NBA Insider left Yahoo Sports after nearly ten years,and on July 1, 2017, returned to his hometown of Bristol, Conn. to work at ESPN. Before Yahoo, Wojnarowski wrote for The Record (Bergen County, NJ), Fresno Bee and Waterbury Republican-American. He is a two-time winner of the Associated Press Sports Editors “Columnist of the Year” award. HONOLULU – Matt Kuchar overcame a slow start Sunday to rally for his second victory of the Fall-Winter PGA Tour season at the Sony Open. Kuchar, 40, held a two-shot lead entering the final round at Waialae Country Club, but saw that evaporate with three birdies over his first five holes against a lone birdie. Andrew Putnam grabbed a share of the lead when Kuchar bogeyed Nos. 4 and 5. Kuchar started to get his round going with a birdie on No. 9. He then reeled off two more over the first three holes after making the turn to regain the lead. This time, he wouldn’t let go, with three birdies over his final four holes to emphatically seal a four-shot victory. Kuchar’s final-round 66 put him at 22-under 258 for the tournament, with Putnam finishing at 18 under with a 2-under 68 on Sunday. “It was not at all what I was looking for,” Kuchar told the Golf Channel about his poor start. “I know that I was playing well, so I tried to stay confident. If I keep plugging along, I knew good things would happen. Kuchar, who won the Mayakoba Golf Classic in November, took home the $1.152 million winner’s check with his ninth career PGA Tour victory and is the second multiple-time winner on Tour this season. He also earned 500 FedEx Cup points to take over the No. 2 spot behind Xander Schauffele, who earned his second victory of the season last week. “I think it might have been Jay-Z that said 40 is the new 20?” Kuchar joked. “I hope that’s the case. I’m awfully pleased with my game. Obviously last year was disappointing, but to win two out of three events is crazy to comprehend. Australia’s Marc Leishman finished in a four-way tie for third place at 17 under with Canada’s Corey Conners and Americans Hudson Swafford and Chez Reavie. Davis Love III, one of four 50-plus-year-old in the field, earned a solo seventh-place finish another shot back. Defending champion Patton Kizzire tied for 13th at 13 under, while 2017 event champion Justin Thomas earned a share of 16th place another shot off the pace. Thomas posted a 66 on Sunday and has now shot 68 or lower in 12 consecutive rounds at Waialae. The Tour begins its California Swing with the Desert Classic in La Quinta this week.